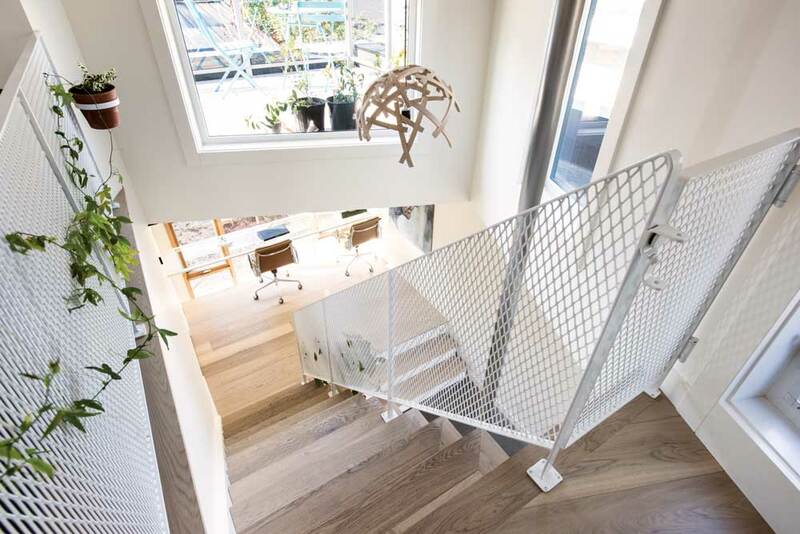 Historical details and ingenious use of space make the Withrow Laneway House the model for laneway homes in Calgary. Design and architecture by Studio North. Photograph by Jared Sych. Studio North co-founder Matthew Kennedy at the doorway to the laneway home his firm built behind the historic Withrow Residence in the community of Parkdale. 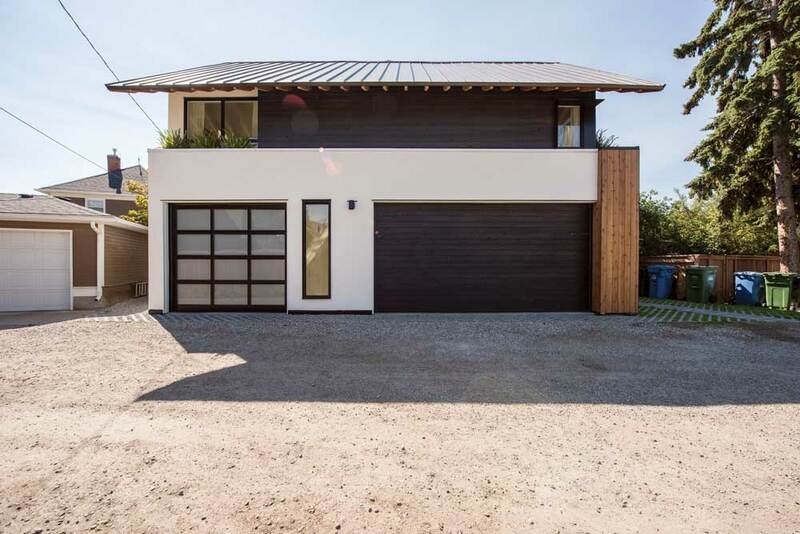 Studio North used both cedar planks and dash stucco on the laneway house exterior to tie the design to the main house. The Withrow Laneway House sits tucked away in an alley behind the historic Withrow Residence in the northwest neighbourhood of Parkdale. The quiet space, protected from the noise of the busy road out front, belies the buzz that has surrounded it since it was finished in the summer of 2017. The house received Honorable Mention in the Mawson Urban Design Award category at the 2017 Mayor’s Urban Design Awards and was featured on the website of the influential home-design magazine Dwell. Mark Erickson and Matthew Kennedy, co-founders of the interdisciplinary design and build practice Studio North, were eager to showcase the potential of laneway housing when they bought the Withrow Residence, built in 1911 and named for its first owner Edwin P. Withrow. “We see laneway housing as a way of preserving historic properties because it allows you to add density and development to an established neighborhood while maintaining the original character of the neighborhood,” says Kennedy. 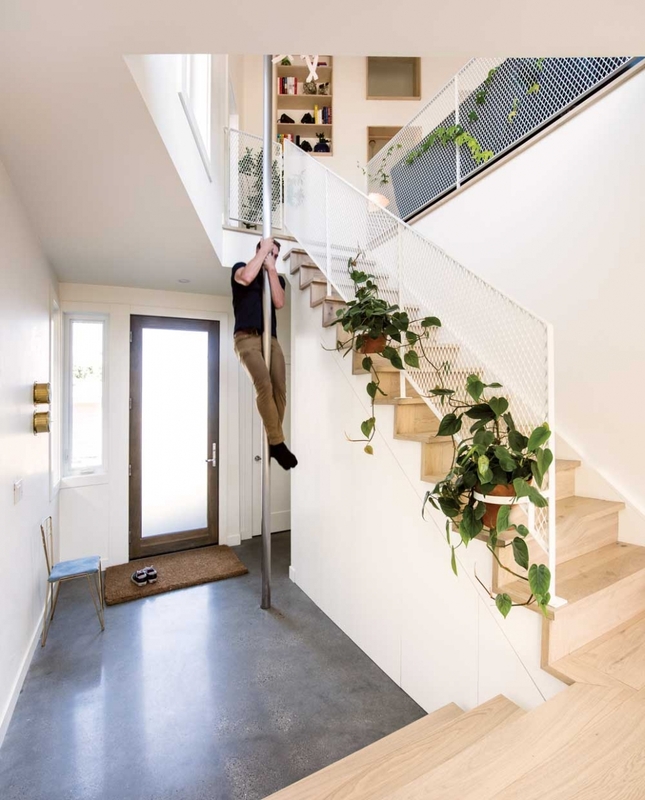 Erickson and Kennedy implemented other personal touches into the design of the house, such as the attached planters on the white metal-mesh railing, which were inspired by the railing planters in an Airbnb they visited on a trip to Venice. Kennedy also handcrafted a number of furniture pieces and fixtures in the home, including the coffee table in the main living space, the oak light fixture in the entryway and the two plaster light fixtures in the bedrooms. 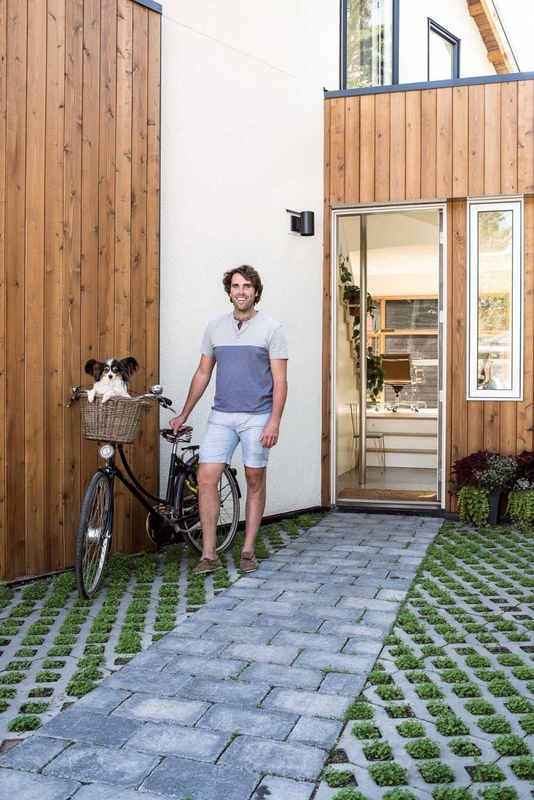 Erickson and Kennedy see laneway housing as a lifestyle choice that eschews the traditional focus on square footage by emphasizing location. “I feel like families now are more interested in maybe living in a smaller, compact environment, but closer to parks, the river and work, where you’re not spending an hour every day in your car commuting,” says Kennedy. 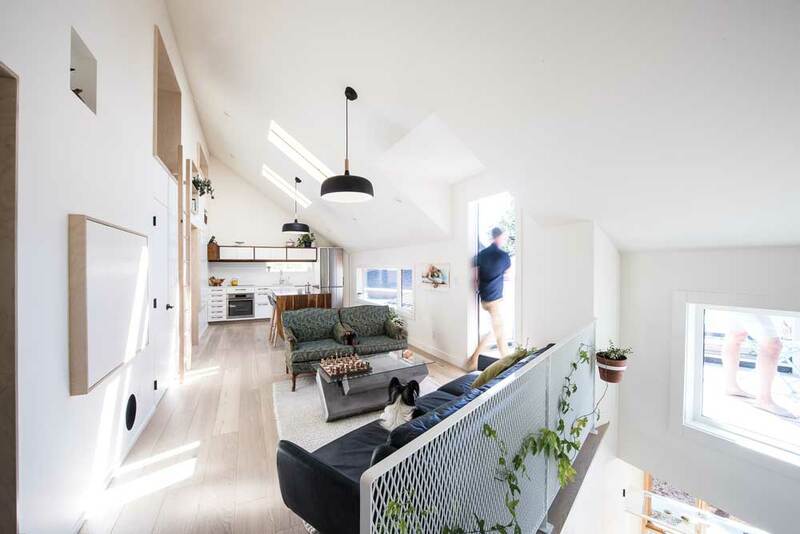 The combination of imaginative details and exhaustive use of every possible inch of space creates a new type of dwelling, one that exemplifies that it isn’t the square footage that defines a home, but how you use it. Drywall by Lifestyle Drywall; ELECTRICAL BY AC&D ELECTRIC, 67 KINLEA LINK N.W., 403-614-2287. The side walls in the main living space are shorter (around five-and-a-half feet in height as opposed to the typical eight feet) in order to create a less obtrusive exterior, while still leaving plenty of room inside. 1. Location is Key Since laneway homes are built at the edge of a lot, corner lots can be advantageous. “You get the alley but you also get part of the main street.” says Erickson. 2. Know Your Zoning Having the right zoning for a laneway house is important. 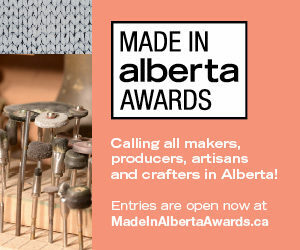 To find out more about zoning and what the City calls “backyard suites,” visit calgary.ca. 3. Win Over the Neighbours “Community engagement is really important – that’s usually one of the biggest things [for us], really engaging with your community and understanding what they expect,” says Erickson. Gaining that understanding first will help smooth out any conflicts, should they arise. 4. High-functioning Tight Spaces “Think of a laneway house as you would a boat cabin, where every space has to serve more than one function,” says Kennedy. Appliances from Coast Appliances; Plumbing fixtures from The Ensuite. Photograph by Jared Sych. 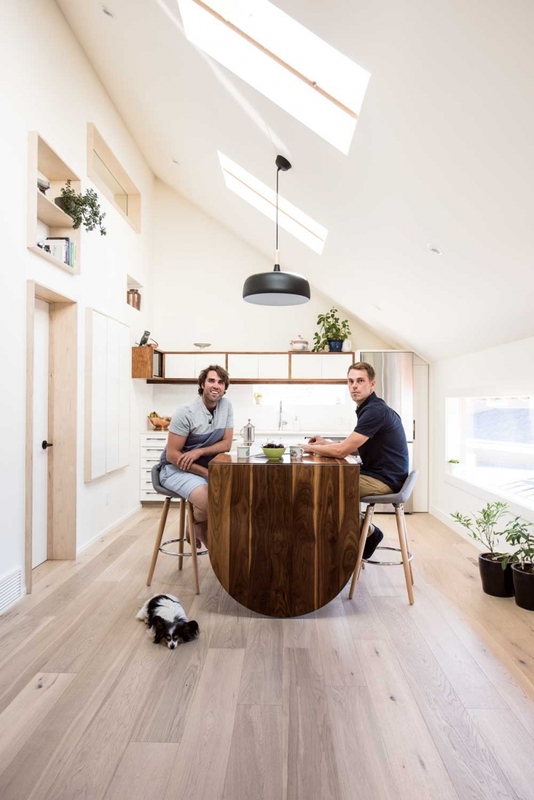 Studio North co-founders Matthew Kennedy and Mark Erickson at the custom dining table, which can be expanded to host guests. Living-room coffee table custom made by Studio North. Photographed by Jared Sych. Kennedy made the living room coffee table during his years as an undergraduate at the University of Calgary. 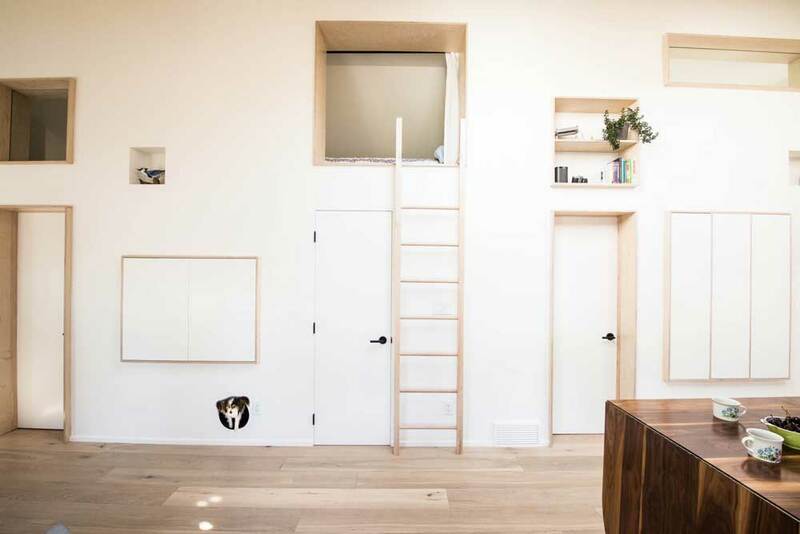 Built-in storage and play spaces in the Withrow Laneway House. Metal railings and plant holders by A & C Metal Works Ltd. Photograph by Jared Sych. The landing was expanded to create an additional functional space. Window coverings from IKEA; All artwork by Daniel J Kirk. Photograph by Jared Sych. Planters outside the bedroom window create the feel of waking up in the middle of the woods. Stucco by Dezi’s Plastering Inc., 403-472-6729; Roof by Emerald Roofing and Exteriors Inc., 403-324-8181. Photograph by Jared Sych. The outside of the Withrow Laneway House.